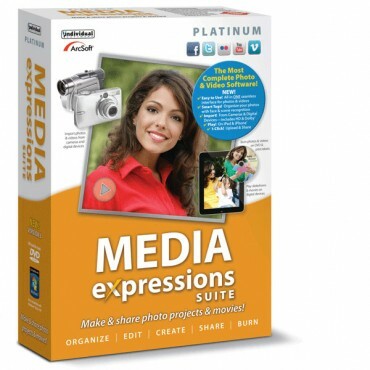 Media Expressions has all the tools you need to organize and edit your media, create and share sensational projects, and burn and preserve your photo and video memories. Quickly switch between tasks and projects with the user-friendly interface. 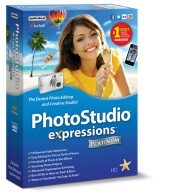 The Most Complete Photo & Video Software! Easy to Use! Seamless interface for photos & videos. Import from cameras & digital devices including HD. Play on iPad and iPhone* plus one-click to upload & share. Import pictures and videos from your camera, webcam, and mobile devices. Edit photos with Easy Fix, Face Beautify, lighting and color effects, and retouch tools. Organize with automatic face and scene tagging, or manually tag photos by any category. Add titles, themes, text, background music, and credits. E-mail or print photos, upload your project to the Kodak® EasyShare Gallery for professional printing, burn to DVD, or share online with your social network. Post to Facebook, upload to Flickr, or broadcast on Twitter. Create photo projects with professional templates for greeting cards, photo books, scrapbooks, slideshows, and calendars. Includes clip art, borders, text and other artistic tools. Perfect for weddings, birthdays, holidays, vacations, baby showers, graduations, anniversaries, family reunions, fundraisers, school projects, religious functions, company picnics, and sports tournaments! Just import video, photos, and audio from your camera and digital devices, including popular DV/HDV/DVD/AVCHD camcorders. Drag-and-drop technology makes organizing your media a breeze. Just pick the movies and photos you want to use, select a theme and music, and let Media Expressions assemble and produce a finished professional movie. Transform Your Photos into Masterpieces! Create “picture perfect” photos with powerful editing tools. Easy Fix improves your photos instantly. Crop, rotate, sharpen, remove red-eye, face beautify, adjust brightness and more. Easily enhance photos with Face Beautify features: smooth skin, add a tan, remove blemishes, and brighten teeth. Experiment with makeover tools, black and white filters and many creative effects. Add dynamic lighting, denoise, make color adjustments, adjust brightness, and more with just a few clicks. Add a theme to enhance your movie content. Apply sensational special effects to your photos. 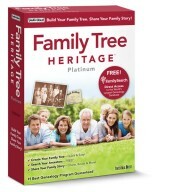 Choose from a complete range of artistic styles and themes. 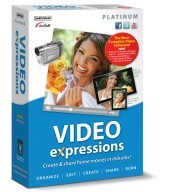 Edit high-definition (HD) video content using Media Expressions Smart Technology! Create the ideal soundtrack with studio-quality tools. Import your own music from CDs, MP3s, or iTunes! Directly share slideshows and movies on YouTube™, Facebook®, Vimeo, or as a Tweet on Twitter™. Also, share photos and scrapbooks on Facebook® and Flickr® within minutes of completion! Play Your DVD Movies on TV! Media Expressions provides all the authoring tools that you need to create a CD or DVD movie that you can publish for playback on your computer or TV. Get access to templates and scene selection features. You can even burn a 1080i DVD capable of playback on a Blu-ray Disc™ player! Customize labels with your own photos, text, video stills, and music playlists. Hundreds of professionally designed themes are included inside and supports label paper templates by Avery®, Memorex®, Neato®, CD Stomper®, and Direct CD/DVD Printing with Epson® and other printers. Choose from dozens of layouts and print sizes including wallet, 4×6, 5×7 and 8×10. Once you’ve organized your photos or created a project, simply upload it to Kodak’s EasyShare Gallery and then order online**. Even order your design on t-shirts, scrapbooks, photo books, aprons, coffee mugs, mouse pads, playing cards and more. **Additional fees apply. Online photo services.